Rev Up your laser machine, get the power! Get the laser power output that you need to run your laser cutting and laser engraving items by UPGRADING to a higher power laser. 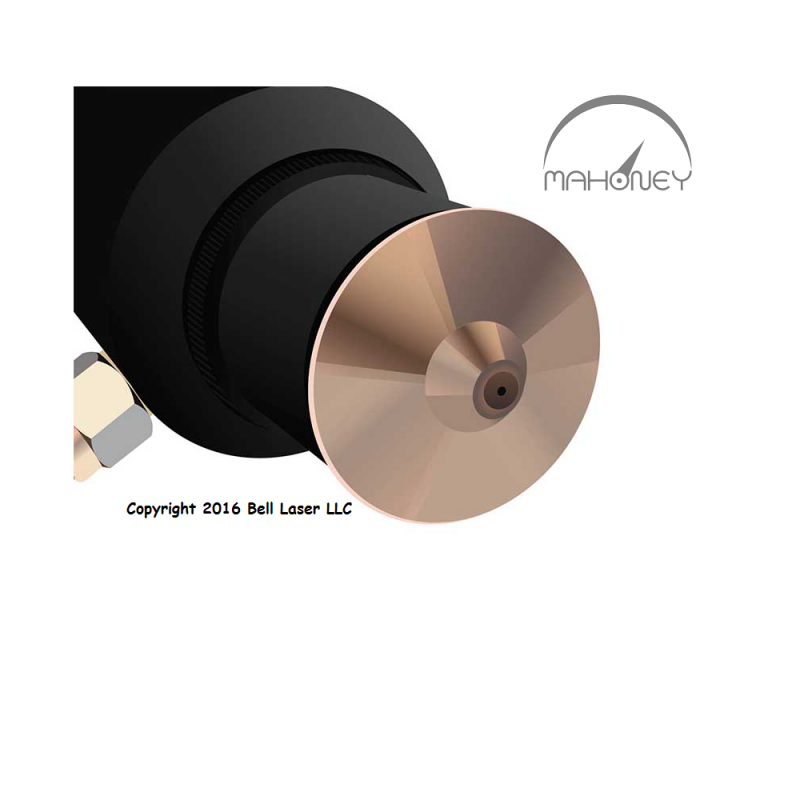 Take advantage of our gas refilled metal laser tubes, that are sold at a deep discount. And for you Chinese laser machine owners, we have glass tube upgrades as well. Find your brand and pricing on our e-commerce site. And Chinese machine owners tired of buying RECI replacements are switching over to metal tubes with our upgrades. Inquire today. Improve your Chinese laser engraver quality. Our supersonin c velocity focus assembly will bring your laser cutting experience up several notches. You can add high air pressure to 100 PSI, adjust nozzle standoff distance from the material (while focus length remains the same). Click here for details. Do you know why Epilog and Trotec and other western made machines produce higher quality laser processed parts?--Try our laser beam expander-collimator kit to add on to your Chinese laser machine. Begin your improvement now by gaining the same devices used by these manufacturers. Chinese laser machinery owners, cutting metal. 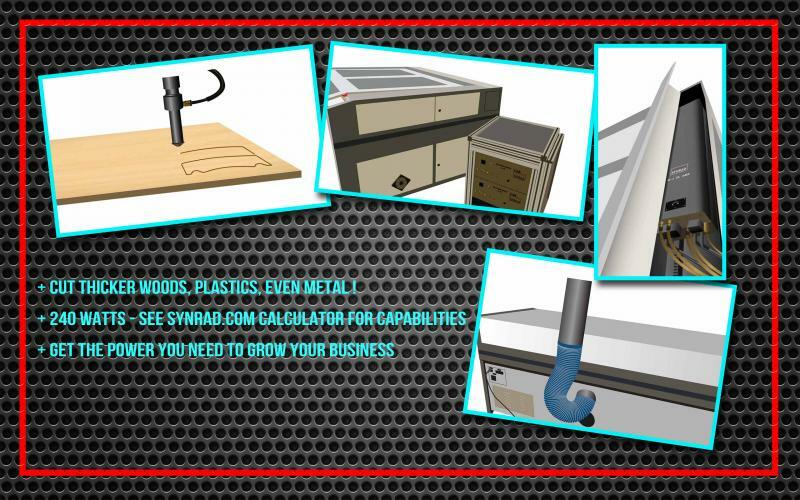 Contact us for support and enhancements to improve your laser cutting machine. 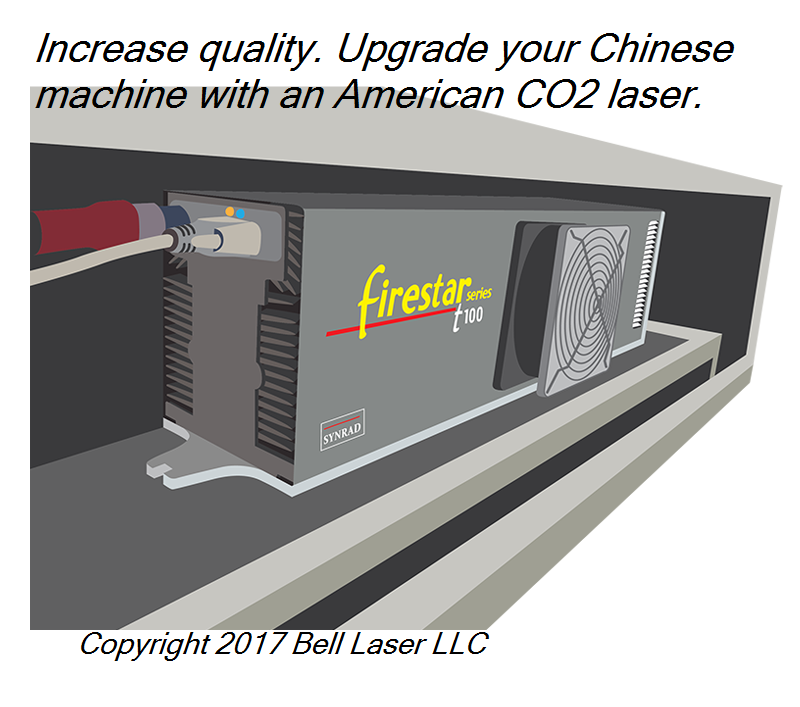 $100 support charge on Chinese Laser machines--get your machine answers for full capacity operation. We provide support for all Chinese lasers, so contact us for parts or questions. Don't overpay for your power upgrade. Contact us for competitive pricing. Upgrade now while refurbished metal tube lasers are in stock! Inquire about our fiber laser upgrade package. Bell Laser manufactures and sells machinery to make parts and products. Our machinery provides laser cutting and laser engraving for parts and products. We are engineering oriented and very capable of improving existing laser machine performance (gas refill, better optics, new beam delivery), and upgrading them (new or refurbished higher power laser sources). See our product lines and learn from our expertise. High quality refurbished matching servo drives with motors and electrical cabling. Electronic connections to your current laser controller. Made affordable due to our bulk purchasing power. Get your upgrade, for the smoothest operation, thus making your cutting much finer, with less ridges, and higher accuracy. 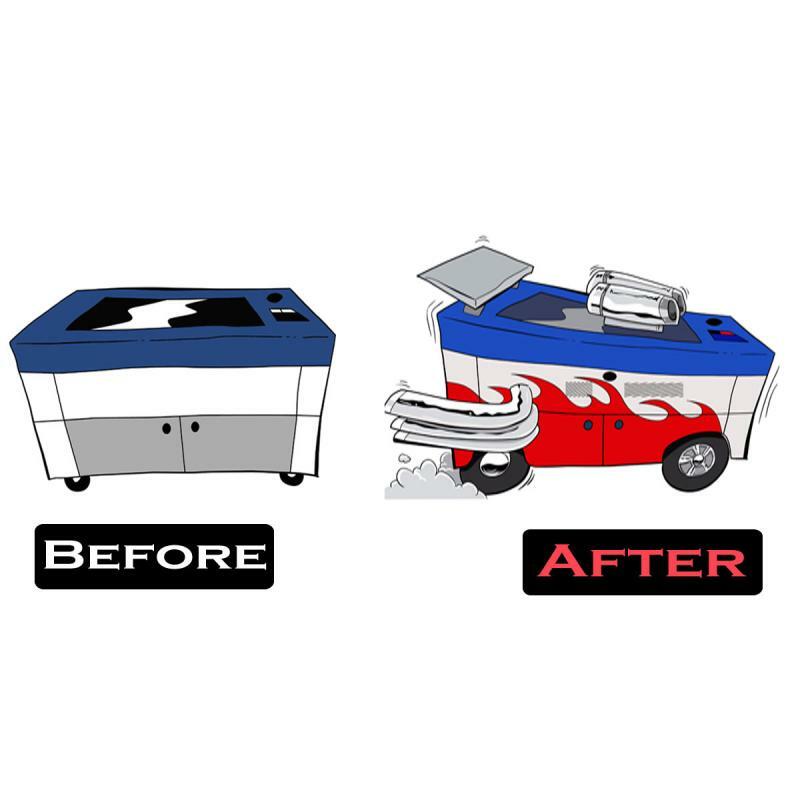 Contact us for pricing for your laser machine make and model (motor sizes differ with machine sizes). Bell Laser manufactures machinery for a variety of business types. For industrial manufacturers, we have robust machinery that can withstand heavy duty operation on a continuous basis. For the light manufacturer or fabricator, we have quality machinery able to run day in and day out, or a portion of the week. If you require a simple to use machine, with simple interface--we have it. If your need is for engineering-intensive control and operation--we have that also. In summary, the machinery choices are available in standard, or configurable designs to meet the demands of your operation. Bell Laser sells and services machinery world-wide. We have sales representatives that can provide demonstration, installation, and training. Contact us today to assess your needs and recommend choices. Our salespeople and engineers have years of experience in laser processing and printing technologies. We can listen to your needs and advise to the best choice of technologies based upon your product size, quantity, and quality. We can also perform samples processing in our printing and laser laboratory.